I grew up in a small town that had something like twenty churches. And for the proselytizers in all those churches I was fresh meat. I lived in one of the town’s few houses that was not associated with any church. For various reasons, my parents had not opted to join a church and have us attend weekly services. So, spiritually speaking, my soul was like some kind of prize that was up for grabs. I became used to friends inviting me to come to their Sunday school or to go to church with them. As I got older, I became accustomed to one friend or another becoming serious and wanting to talk to me about how a relationship with Jesus had changed his or her life. And you know what? The continual attempts to save my soul never bothered me. I always looked at them from my friends’ point of view. If they thought that accepting Jesus as one’s saviour was the only way to heaven and if they truly cared about me, of course they would want me to be saved. I was actually more worried about the religious friends who did not try to convert me. Did they want me to go to hell? Besides, being someone with an open mind, I wanted to hear all the arguments. After all, the person proselytizing me might be absolutely correct and, if so, I should try to find out. So the bottom line is that, from any early age, I became attuned to the look and sound of the true believer. I was quick to recognize that look in someone’s eyes signaling that they had discovered The Truth and were anxious to share it. My ears could pick up very quickly when a conversation was going in the direction of trying to make me understand and accept The Truth. After I left my home town, I attended a few universities and I lived abroad and eventually I settled into a couple of decades of living in and around Seattle. During that period of my life I learned that true believers are not found exclusively in Christian and other religious communities. In my twenties I got involved in organizing a bargaining unit at the newspaper where I worked. I had no previous experience with unions, but the organizing effort was well under way by the time I was hired and my fellow employees seemed to think that I could be a non-controversial bridge between labor and management. So I agreed to be the employees’ spokesperson. I have never been so naive since. A stressful couple of years followed in which our bargaining unit was certified and a contract was negotiated. A side effect of that experience was that I inadvertently became something of a working class hero to friends and acquaintances on the political left. That led to a volunteer gig on a non-profit community radio station that further immersed me in Seattle’s rich tapestry of various political movements. It was a time when I became so familiar with fringe politics that I could actually sort of grasp the nuances between, say, the Socialist Workers Party and the Freedom Socialist Party. But as new and interesting as all of this was, something was still the same. I remember one day at the radio station when a bearded friend gave me a judgmental look and said disapprovingly, “I didn’t see you at the protest rally on Sunday.” He could just as easily been an older Baptist or Mennonite from my home town talking about Sunday church services. At the end of the day, it was still about people trying to get me to buy into the same belief system they had bought into—unconditionally. And now it wasn’t just about saving the soul of a single person (me) but about rescuing the entire world from injustice. It was about an economic system (capitalism) that would inevitably collapse under its own weight—at the very latest, so I was frequently told—by the end of the 20th century. It was about helping the masses who were too dim to appreciate just how terrible their life was under the current system. It was a situation too dire to leave to the whims of ignorant voters and meaningless elections, which were rigged by a fundamentally corrupt system. I knew these ideas were nuts, but somehow I managed to remain cordial and friendly with my leftist friends, just as I was always been able to get on with my Christian friends and conservative friends. And interestingly, the the leftist friends I kept in contact with over the years went on to live fairly conventional middle class lives and, in some cases, even work for big evil corporations. At some point, I guess, you start to feel like a sucker waiting around for the big economic and political collapse while your friends keep racking up higher balances for their retirement in their 401k investments. These days, as I read news and blogs from the U.S. (not to mention Facebook and Twitter), I can see that the true believer is alive and well. People will always take comfort in a belief system that makes them feel good and which cannot be proved or disproved. Some of the current dominant ones, at least as evidenced by the major media outlets in North America and Europe, seem to the the church of Keynesian economics and the sect of environmental end days. This is not to say that people who based their personal and political lives around these belief systems are wrong. I just find it interesting that people can become so evangelical about things that will amost certainly never be proved in our lifetimes. The persistent testament of John Maynard Keynes is particularly intriguing to me. In the U.S. his ideas have gotten only two fairly good tests—during the 1930s and from 2008 to present—and both periods have coincided with very problematic economic conditions. The question is, which was the cause and which was the effect? As for environmentalism, skeptics have long compared it to a conventional religion. After all, it offers a narrative of man versus nature, fall from grace, and prophesied doom. Climate change activists invoke “settled science” (an oxymoron if there ever was one) in the same way that religious fundamentalists justify their opinions with “because the Bible says so.” The comparison with religion only gets firmer when we see how individuals and governments promise to get right with the earth in treaties and conferences and then immediately go back to sinning at home the very next day. Does that mean the Keynesians and the environmentalists are wrong? Not any more than any other true believer is necessarily wrong. Just because you believe in something faithfully and uncritically doesn’t mean that what you believe isn’t true. In a way, I envy all the true believers. It must be comforting to believe in something so strongly that there is never any doubt—and not to be condemned to live out one’s days as a perpetual skeptic. The above comments from Professor Gruber, preserved forever in internet videos, have embarrassed Obamacare supporters. For Obamacare critics, they are the most improbable of welcome gifts. From the critics’ point of view, it’s a bit like that classic scene in Woody Allen’s Annie Hall, where Allen gets fed up listening to some blowhard in a cinema queue bloviating about the ideas of Marshall McLuhan and then, from somewhere outside of the frame, pulls in McLuhan himself to tell the obnoxious know-it-all that he doesn’t have a clue. That’s what Professor Gruber has inadvertently done to Obamacare defenders. In other words, Gruber effectively negates the Obama administration argument before the Supreme Court that the clause in the healthcare law, which provides federal subsidies only for state exchanges (and not for the federal one), was merely some clerical oversight. In other words, when the IRS decided arbitrarily to extend subsidies to consumers on the federal exchange, it ignored both the letter and the spirit of the law. Of course, if the Supreme Court so rules next year, in a case called King v. Burwell, it will cause a huge mess. Subsidies have already been paid. Insurance companies have extended coverage to lots of people based on subsidies through the federal exchange. And the numbers involved are not trivial, since most states did not set up exchanges. How does this get resolved? Can the court simply ignore the clearly stated content of the law? On the other hand, though, can the court put all those healthcare consumers in the position of suddenly owing a bunch of back payments to their insurance companies? Before tackling that question, let’s take a moment to be properly angry at the way this law was drafted and passed. Unlike all previous major entitlement legislation, it was written and passed entirely by a single political party. A technical trick was used to avoid the usual 60-vote threshhold to get it through the Senate. It was pushed through even though it was immediately preceded by Massachusetts (yes, Massachusetts) filling Ted Kennedy’s Senate seat with a Republican who had campaigned against Obamacare. The usual refrain in answer to these facts is that, well, the Republicans were crazy and unreasonable and they only wanted to keep Obama from getting a victory. You just couldn’t deal with them. Democrats had no choice but to go it alone. But the lie is given to that argument by the fact that Democrats would not even negotiate with the most collegial and bi-partisan of Republican members of the Senate at the time, Susan Collins and Olympia Snowe. Consequently, one of the two major political parties has absolutely no buy-in or interest in allowing to law to work or survive. And the law, as drafted, is a shoddy piece of work. Exhibit A is the clause that is now the subject of yet another Supreme Court case. The irony is that, despite Professor Gruber’s delight in how clever the Obama administration was in obfuscating the political argument, it didn’t really work. The law has never had the support of the majority of the American public. Depending on how the poll questions are asked, the law has consistently registered no more than 50 percent approval—and usually less. And public support is dropping. In a Gallup poll released on Monday, as reported by Politico, the law now had just 37 percent approval versus 56 percent disapproval. Combine that with the results of the recent midterm elections—not to mention the 2010 midterms, held soon after the law passed—and it seems pretty clear how the law has gone over. What is not clear is whether the dropping approval of Obamacare is due to people’s actual experience with it or simply because of the news coverage. After all, most people have yet to feel its effects. Employer-provided coverage has yet to be affected, since that part of the law keeps getting deferred. Defenders of the law enthusiastically point out how many more people now have coverage who did not before. What they conveniently leave out, though, is that so far this has mostly been accomplished by expanding Medicare—something that the government could have done without bothering to enact Obamacare. Something else that does not get mentioned is the fact that more and more practitioners are refusing to take on Medicare patients for economic reasons. So what will the Supreme Court do? In the last major challenge to the law, Chief Justice Roberts did a very interesting thing. He found that the law was not strictly constitutional because it required people to buy a private product, i.e. health insurance. But instead of sending it back to Congress to be fixed (which would have killed the bill since, by that point, the voters had put Republicans firmly in control of the House of Representatives), he said, very creatively, that the penalty for not buying insurance was essentially the same as a tax—even though Obama had personally sworn up and down that the penalty was not a tax—so everything was okay because Congress does have the power to impose taxes. It will take even more creativity to somehow find a way to say that “an Exchange established by the State” actually means “an Exchange established by the State or by the federal government or, like, whatever.” But after going through such contortions not to overturn the law the last time, will the court really want to put a stake through its heart next year when the consequences will be even more far-reaching? In any event, one thing we can certainly look forward to up until then is an unprecedented campaign of intimidation of the Supreme Court by the White House and Democrats warning it not to overturn the law. Expect the tide of history to be invoked frequently and passionately. The mystery is why Democrats continue to fight so hard for this misbegotten law—with a sense of mission that was certainly missing in the law’s drafting. After all, in the beginning the bill’s most ardent supporters never claimed to want what Obamacare turned out to be—the imposition of a new layer of federal bureaucracy on top of the existing private health insurance system. What those people said they actually wanted was a single-payer system. Some apparently thought that Obamacare would be a stepping stone to single-payer. But the irony is that, by giving so much strong and unconditional support to Obamacare, single-payer has now become something that is not very likely to be seen in our lifetime. What did the president mean exactly when he told the “two-thirds of voters who chose not to participate” that he heard them? Did he mean that he understands why they didn’t vote and he is taking those reasons on board? Or did he mean that he is certain about how they would have voted if they had actually voted and that he was going to act as if they had voted (for Democrats)—even though they didn’t? I honestly don’t know. And that raises an interesting question. As a politician, should the president be seen as more representative of what the people want since he and the vice-president are the only ones elected by the entire country? Could you not argue just as easily that this fact means that his mandate is more muddled because it comes from such a large population—sort of a least common denominator of political representatives? You can—and people do—argue that the members of the House of Representatives are the ones closest to the voters because they come for the localities they represent, are better known by more people who vote for them and must face the voters every other year. I was raised to believe that it was every citizen’s duty to vote. But with the passage of time I have come to have respect for the act of not voting. Does abstaining not send just as valid a message as choosing a candidate to vote for? If people are discouraged from voting, do they not have the right to express that attitude by sitting out the voting process? And if they are simply not interested or do not feel informed enough, should they not be given credit for not wanting to make an uninformed choice? I’m not talking of voter suppression here—and make no mistake, all that negative advertising by both sides is meant to discourage the other side’s voters and it clearly works. I am talking simply about an eligible voter’s conscious decision not to participate. As we have seen in this week’s balloting, just because you choose not to vote does not mean you do not have an effect on the outcome. In answering questions about the election results, the president and others have brought out the time-worn formulation of citing problems with “messaging” or “communication.” Others have resorted to another response that is also typical in these situations, although it seems to be more of Democrat thing than a Republican thing when they lose. They console themselves by calling the American people idiots. If I was cleverer and more gifted at drawing, I might draw my own cartoon, which would have the blank faces calling out things like “I support gender equality so I vote Democratic even if it means voting against a woman!” and “I support racial equality so I vote Democratic even it means voting against an African-American!” That seems to the Democratic strategy these days anyway. And, while in some years that strategy works, in some years (like this one) it clearly doesn’t. Speaking of things I saw on social media in the wake of the election, it was good to see people from both parties hailing the first election of an African-American from the post-Reconstruction South to the U.S. Senate. Tim Scott had already been filling the seat vacated by Jim DeMint as an appointee, but now he has been elected directly by the voters of South Carolina in his own right. Though it may not please some of my Democratic friends to hear it, there is something fitting about the fact that he was elected under the banner of the party of Abraham Lincoln. And given that diversity in Congress is a good thing as is more equal numbers between men and women, the election of the delightfully named Mia Love to the House of Representatives from Utah is very welcome—if for no other reason than that her very existence seems calculated to confound the purveyors of identity politics. She is female, African-American and conservative. She is one of several younger, fresh faces that have been spotlighted among Republicans—one of the benefits of being on the winning side of a wave election. Barack Obama was such a fresh face ten years ago when he was elected to the U.S. Senate and he went to captivate his party and the country. Now Democrats have to be wondering if they would not have been better off to go with experience and competence four years later and elect the first woman president instead of the first African-American president. No doubt the country certainly would have been. Hillary Clinton might still get her chance. She certainly has all the advantages at this early stage for 2016. But when compared to the many new faces on the right and people like Elizabeth Warren on the left, she is frankly starting to look very last-century. However this week’s election in the U.S. turns out, we are likely to hear commentators discussing how the electorate for midterm elections is different from the electorate in presidential election years. The general differences between the two are well known. Fewer people turn out for the midterms. And those that do turn out tend to be from the older, whiter and more conservative segments of the larger electorate. Does it matter that the same exact people do not turn out for every election? It certainly matters to the political parties. More Democratic voters turn out in presidential years, giving Republican candidates more of a chance in other years. But does it matter in terms of the legitimacy of successful candidates? Does a successful candidate in a low-turnout election have less legitimacy or less of a mandate than one who is elected when there is a higher turnout? Constitutionally, it doesn’t matter. If you are elected, you are elected—regardless of how many voters did or did not participate in the balloting. Does it matter politically? That is less clear. Obviously, a larger margin for or against a party carries more impact than a smaller one. And a higher turnout carries a bit more weight in the politicians’ minds than a meagre one. But in the end, politicians on both sides will—at least as far as their rhetoric goes—see in the will of the voters what they want to see. The president’s spokespeople will emphasize the mandate he received at the ballot box two years, regardless of how badly it goes for his party this time around. Republicans, on the other hand, can be expected to see every win as a vindication of their views and a repudiation of Democratic policies. Four years ago President Obama acknowledged that his party had taken a shellacking and then proceeded to go on essentially as if nothing at all had happened. Since then he has consistently criticized dysfunction and gridlock in the “Republican Congress,” thereby ignoring the scores of bills passed by the House of Representatives and which were blocked from being taken up in the Senate by Majority Leader Harry Reid. If there has been gridlock in government, it has been pretty much entirely in the Democratic-controlled upper house of Congress. The fact is that even in presidential election years there is more than one electorate. For example, two years ago there was the one that re-elected the president fairly handily while at the same time ostensibly the same electorate maintained a substantial majority for the Republicans in the House of Representatives. How does that happen? It all comes down to how you count the votes. The geographical distribution of individual district elections favors rural areas. Nationwide elections favor urban centers. And, in the case of 2012, a brilliant technical strategy by the Obama campaign was able to target the exact areas—in some cases the exact houses—to reach the necessary number of votes in the Electoral College. So with all these different electorates in every election, how on earth are we supposed to discern what politicians like to call “the will of the American people”? As long as the country is so evenly divided, it is not going to be easy. In a closely divided country, the way the votes get counted and who happens to turn out to vote become crucial. That’s why the voting process itself has become so politicized. Voter fraud becomes a huge issue because even a relatively small number of fraudulent votes—or, conversely, suppressed votes—can make all the difference. That is why something like voting by mail can have a crucial impact. At one time party machines had to actually have armies of people to drive voters to the polls on Election Day. Now, in some states, those volunteers have several weeks to show up on the doorstop with an already-filled-out mail-in ballot that only needs to be signed so the volunteer can then post it or deposit it. Make no mistake, I am in debt to the mail-in ballot process. As an expat, I have necessarily been voting by mail for more than a decade now. But I have to wonder. Many people who would not have voted in past elections are now voting because volunteers take the initiative to get them to vote. In that case, who is really voting? The person who signs the ballot or the volunteer? There was something quaint yet reassuring about the traditional way of voting. On the same day everywhere across the country everyone went individually into the voting booth and—alone with his or her own heart or conscience—cast their own vote. Now, as more people vote at home, I have to wonder how much sanctity there is in voting. Are we becoming a country, like too many others, where the political spoils belong simply to the machine that can exert the most pressure and promise the most favors to deliver enough votes to push its candidate over the finish line? 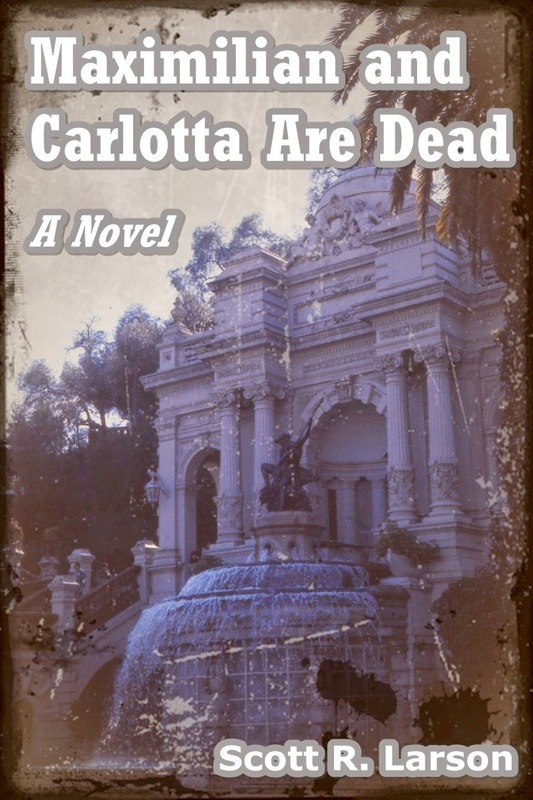 Just a short note to point those interested to a couple of interviews I have done in regards to my novel, Maximilian and Carlotta Are Dead. One just went up today and can be found at Limelight Literature. That site is run by Wales-based author and blogger L E Fitzpatrick, and she does a lovely job at highlighting her fellow authors and getting exclusive extracts for readers. I encourage you to read her blog not only for my interview but also to learn a lot about new writers and books. Another interview has been up for a while at Book Goodies. That’s another great site for learning about new authors out there. Check it out. I knew things weren’t going well for Meet the Press. I had read that its ratings had sunk since the sudden and untimley death of its long-time host Tim Russert six years ago. People decided that Russert’s successor, David Gregory, was the problem. In April there were bizarre reports that NBC had actually undertaken a psychological evaluation of him, apparently trying to figure out how to make him more the kind of person people would want to watch on television on a Sunday morning. Now Gregory is gone. He wasn’t allowed to do even one more show after his unceremonious dismissal, to say good-bye to the viewers. And he wasn’t just removed from hosting duties. He is gone from NBC altogether. He had to sign an agreement not to badmouth his former employer. It reminds me of the time that an employee was caught pirating software at a company where I worked and security made him clean out his desk on the spot and then escorted him off the premises with no chance to say good-bye to anybody. Kind of humiliating. I also knew things weren’t going well for Meet the Press because I used to watch it (actually, listen to it, as a podcast) and and then I stopped. If you try to listen to too many Sunday news programs, you wind up getting a lot of repetition. Often the same government official will be interviewed on more than one of them, so you end up listening to the same answers over and over. If anything is different from one interview to another, it’s the questions—which tell you more about the interviewer than about the interviewee. Since there are only so many hours in the day, I usually limit myself to two Sunday morning news podcasts a week. Currently those are ABC’s This Week with George Stephanopolous and Fox News Sunday with Chris Wallace. CBS’s Face the Nation might have made the cut, but that podcast is full of too many annoying ads. To be fair, Tim Russert was a hard act to follow, and whoever replaced him was going to have a struggle emerging from his shadow. Russert was a political animal who loved the issues and the discussion. He knew his stuff, and he knew the questions to ask. His interviews were in-depth. It was not unusual for an interview to take up an entire segment of the show, if not the entire show. Russert came by his acumen through experience in the political trenches. Earlier on, he had worked for some major New York politicians, Senator Daniel Moynihan and Governor Mario Cuomo. Despite the fact that he was clearly a Democrat, he always understood the arguments on all sides of an issue and made sure all those sides got their airing. He may have had his own partisan leanings, but it didn’t matter because he was generally fair. For political junkies, during the Russert era (and before) Meet the Press was must-see viewing. That changed after Gregory took over. But how much of the ratings decline was his fault and how much had to do with changes at NBC News? As the business strategy for the company’s cable channel MSNBC became more focused on catering to the left-wing demographic (being the Fox News of the left, as some observers put it), the lines got blurry—at least in public perception—between the news division and the stable of personalties hosting opinion-oriented shows on cable. The same problem is regularly raised about Fox News. Critics always lump the prime-time opinionators together with the journalists who are doing straight news reporting. But Fox News was born as a cable channel and so has always had that identity. NBC’s news division, on the other hand, has a long and prestigious history. Seeing their journalists as part of a continuum with hosts such as Rachel Maddow, Lawrence O’Donnell, Chris Matthews, Al Sharpton and Ed Schultz has tended to alienate conservative-leaning viewers and maybe even some moderate ones. But the tainting of serious news with related opinion programs doesn’t really explain NBC’s troubles. After all, Fox News uses the same formula for a moderate-to-conservative audience and it sits atop the ratings pile for cable news channels. MSNBC’s ratings have been well behind Fox’s, and the channel was recently surpassed by the previously languishing CNN. The original cable news channel has recently been able to improve its viewer numbers through nonstop coverage of a series of ongoing news events that have riveted public attention—beginning with the disappearance of that Malaysian airliner. So unless you believe that there are simply more conservative TV news viewers out there than liberal ones, something else is going on at NBC. True, the nightly evening newscast with Brian Williams has been leading its network competitors, but the overall audience is shrinking. People are getting more of their news from other sources, and it’s hard to measure exactly where, since there are so many sources now available in so many different and new media. When it comes to Sunday morning, Gregory was definitely a big part of the problem—if not the entire problem. I found him hard to watch. Where Russert was all business and nearly prosecutorial in his interviews, Gregory strove to be chummy, at times ingratiating and occasionally fawning. Where Russert always seemed to be of the same stature of the people he was talking to, Gregory could come off as obsequious. No wonder they brought in the psychologist. They needed him to be more of an alpha male. Or actually, just an alpha. When they brought in substitute hosts like Erin Burnett or Savannah Guthrie, there was a noticeable improvement. Will Chuck Todd do any better? He is nothing if not a political wonk, so maybe. But the real question is whether the traditional Sunday morning news program has outlived its usefulness. As with weekly news magazines like Time and Newsweek, the weekly news round-up seems less relevant in the era of a virtual 24/7 news cycle. On the other hand, the delivery of “all news all the time” doesn’t leave consumers much time for perspective or context. Maybe we actually need those Sunday (or whatever day) weekly shows more than ever. But maybe they also need to do some evolving in order to catch up with the rest of the world. Let us stipulate that the killing of hundreds of Palestinians in the Gaza Strip is a tragedy and a travesty and should not have happened. Let us further stipulate that, while Israel did not initiate the current military conflict with Hamas and Israel has the right to self-defense, those facts by no means confer absolution on Israel for the loss of innocent life directly at its hands. Having stipulated all that, let us look at the best course for ending the violence. Two things seem pretty obvious to the detached observer. The first is that, when Hamas stops its rocket attacks on Israel, then Israel stops its not-always-pinpoint-accurate retaliation against the launch sites in Gaza. The second is that, when Israel stops its assault on Gaza, Hamas does not stop its attacks on Israel. So from a practical point of view, the obvious solution would lie in getting Hamas to stop its attacks. Why then does the diplomatic pressure seem directed mainly at Israel? It is because Israel is a democratic constitutional state and thereby susceptible to moral pressure. Hamas, on the other hand, is an organization that wields power largely through the force of its weapons and which has been designated by many countries as a terrorist group. It is by definition virtually impervious to moral persuasion. But that does not mean that it is impervious to other kinds of persuasion. The week before last, Secretary of State John Kerry made a fool of himself by consulting with two of the very few governments who actually support Hamas, Qatar and Turkey, and then presenting Hamas’s wish list to Israel as a proposed cease-fire agreement. As recounted by The Washington Post’s David Ignatius, this not only (all too predictably) upset the Israelis but also most other Arab nations as well, particularly Egypt which shares a border with Gaza and which was shut out of the discussion and also the Palestinian Authority, the so-called moderate Palestinians who are technically in partnership with Hamas but remain rivals with that group and would prefer to see it out of Gaza. When Kerry gets praise for his diplomatic efforts, it usually takes the form of “well, at least he’s trying” or “at least he is doing something.” That is what many commentators said when he energetically threw himself into new Israel/Palestinian talks after succeeding Hillary Clinton as Secretary of State. In hindsight, it is easy to see why the wilier Clinton—and the Bush Administration before her, after some early forays—did not go near the Palestinian situation. They were savvy enough to realize that there is no reliable negotiating partner on the Palestinian side. Clinton would know this particularly well. In the final days of his presidency, her husband actually managed to get Israeli Prime Minister Ehud Barak to agree to about 95 percent of what Yasser Arafat had insisted upon. Realistically, there was never going to be a better deal for the Palestinians than that one. And yet, knowing that winning that agreement would never satisfy his hard-liners, Arafat walked away. Two months later the Second Intifada began, and it continued for more than four years, resulting in thousands of deaths. Similarly, less than three months after Kerry’s talks broke down in April, Hamas dramatically escalated its rocket launches against Israel. Perhaps Iran does not get called out so as not to complicate the ongoing negotiations over Iran’s nuclear program. The irony is that those talks are another Kerry diplomatic initiative that is likely to have the exact opposite outcome than what is intended. The killing in the Gaza Strip is terrible and heartbreaking. The deaths in Israel are terrible too, but they have been far fewer and, frankly, not as emotionally evocative because, in terms of media, they cannot compete with children on a beach or a hospital being struck. Yesterday on Ireland’s main morning news radio program, I thought I detected a significant shift in the way things are seen from here. Former President Mary Robinson was being interviewed about her new job as a United Nations special envoy for climate change, but she was first asked about the Gaza situation. Has there been no uproar? Does the massive global news focus on the violence not count as uproar? Or the attention of myriad international agencies and bodies? Not to mention the genuinely concerned comments of world leaders? Without wanting to put words in the RTÉ man’s mouth, I think what he was getting at was that, this time around, there has not been nearly the same level of condemnation of Israel as has been seen in previous violent flare-ups. The fact is that Hamas is rather isolated politically, even within the Arab world. While one might criticize Israel for being “disproportionate” in its response, it is hard to escape the fact that the current round of violence began—and continues—because of a massive missile bombardment of Israel. And it is Hamas that would not accept a ceasefire proposed by Egypt—because it will only accept a ceasefire if its conditions are met. In the way of war, Hamas has it exactly backwards. When one side in a war is so clearly outmatched, any ceasefire would normally be in its interests, and it would be the superior power making demands. One can certainly condemn Israel for possible overkill in its reaction or in not being more careful to avoid killing innocents. But realistically, that’s a bit like condemning a man wearing a bulletproof vest for firing back at someone who keeps shooting at him. Like it or not, the top priority of any national leader will be the survival of his own nation. Yes, Israel bears its share of responsibility for civilian deaths, but what about the people who could prevent more of those deaths by simply accepting a ceasefire with no conditions? That is why I saw Mary Robinson’s half-of-a-sentence some kind of tectonic shift. She was not completely engaging in the reflexive response of the Irish academic/progressive establishment to support anything and everything done in the name of liberating Palestine—even to the benefit of groups determine to wiping the Jewish state off the map. As best as I can understand it, Israelis and Palestinians are seen here—and lots of other places—as latter-day proxies for the old European imperialist powers, on one hand, and third-world liberation movements, on the other. RTÉ Radio is particularly egregious in this area. Morning after morning I have listened to its journalists berate spokespeople for Israel for essentially not having more casualties on the Israeli side. This morning the interviewer essentially suggested that, since the Iron Dome missile defense was proving so effective, Israel should just sit back and take the bombardments from Hamas without response. But to answer the radio interviewer’s rhetorical question from yesterday—while no one situation in the world is a perfect match for any other—it is indeed possible to think of roughly similar cases. A fair way to currently describe the Gaza Strip is as a failed terrorist state. There is effectively no government, and things are run by a group identified as a terrorist organization by the United States, Canada, the European Union, Egypt and others. No enemy has ever successfully lobbed missiles onto U.S. soil, but thirteen years ago a designated terrorist group operating from a failed state did succeed in crashing four airliners on American soil, inflicting massive casualties. As a direct result, the U.S. led a NATO invasion of Afghanistan. The authorizing U.S. legislation passed by 420-1 in the House of Representatives and by 98-0 in the Senate. As bad as things are in Gaza and Israel at the moment, let’s hope we do not wind up looking back longingly on the days when Hamas had only conventional weapons. Was I too harsh in my previous post about the Obama Adminstration’s performance in managing the U.S. economy? After all, when it came to the most recent economimc data, the majority of the “mainstream” American news outlets I heard were focused on the 288,000 jobs added in June and the drop in unemployment to 6.1 percent. And that is indeed good news. I instead focused on the contracting of the economy in the year’s first quarter—a worrisome 2.9 percent. Many professional news explainers dismissed that as a fluke caused by unusually harsh winter weather. Even so, it is never a good sign when the economy shrinks and, besides, aren’t these numbers supposed to be “seasonally adjusted” to account for things like winter anyway? Nevertheless, people are right to put most of their focus on the jobs numbers. While the president—and many others—may be happy to tout the soaring stock market, that is mainly benefiting the investor class. And, to the extent that many middle class Americans have money invested in equities directly or through retirement plans, yes, it is good that those investments are doing well. But the well-being of the country really depends on how many people are usefully participating in the economy. In other words, the best indicator of how people are doing generally is the unemployment rate. Having said that, though, the GDP number for better or worse is one of our best indicators of the overall health of the economy and how it will perform going forward. Another thing to consider: some observers have noted that the “better than expected” job numbers coincided with the end of extended unemployment benefits. This is confirmation that the payment of unemployment benefits, while the right and compassionate thing to do, is also inevitably an incentive for some to put off going back to work. As the president made clear in his remarks at the Key Bridge, he is cognizant of all the negatives persisting in the economy. But he continues to insist or imply that everything would be just fine if only Congress would do things like authorize more money for the Highway Trust Fund. That is fundamentally dishonest. There may well be good reasons to authorize the money, but it will not make a significant difference in most people’s lives. His glib dismissal of deficits as being “cut in half” may be accurate in the short term, but it amounts to wilful disregard of the fact that government programs are still on a trajectory to bankruptcy over the long term, and that will have a lot more to do with real people’s standard of living than any one year’s contentious congressional expenditure. Instead he sticks to the same script that modern liberals have always followed when campaigning against conservatives. He paints the country’s economic problem as consisting mainly of government stinginess. The other side, on the other hand, too often responds by suggesting that recipients of government spending are undeserving or unworthy. The real issue is that, over the years, the government has made a lot of promises to a lot of people and it has a moral obligation to keep those promises. That means reforming those programs so that they do not run out of money. The only way to do that in the long haul is to have as many people as possible participating in the economy. The current job numbers show that the country has a very long way to go in that regard and, unfortunately, the president seems content to simply continue what he’s already doing—or, more accurately, not doing. For a while there it seemed as though I couldn’t listen to any call-in radio show or watch any panel of TV pundits without hearing someone say it. In any discussion of the bad economic conditions in America and/or Europe, someone would insist emphatically, austerity doesn’t work! In context, the austerity in question was usually public austerity, that is, reductions in government spending. And the message was always clear from this particular chorus. Governments need to spend more, not less, to get their economies out of recession. If they run low on money, they should get it from corporations and the wealthy. Prominent among the chorus in the U.S. was Nobel Prize winner Paul Krugman, who can currently be heard railing against income inequality from his $225,000-per-year perch at City University of New York, where his duties are to teach one seminar a year and participate in some events organized by CUNY. So how is this “austerity doesn’t work” idea panning out in the real world these days? If we look at the most recent issue of The Economist we find two articles that provide an interesting pair of test cases. In an article on Spain, we read that the country’s recession is over and jobs are being created. Says the magazine, “Growth is already boosting employment, opening the way to a virtuous cycle of increased demand and more job creation. Growth predictions for next year are being revised upwards, some to over 2%.” Investment is flowing back into the country. For those with short memories, Spain originally got into trouble, not unlike the country where I reside (Ireland), because of an uncontained housing bubble. The strategy for recovery that was adopted by its center-right government was widely derided as the kind of austerity that “doesn’t work.” And yet it has. The Economist also has an article on France, where things are a bit different. In contrast to Spain’s government, President François Holland has pretty much followed the advice of the world’s Krugmans. When people call Holland a socialist, it is not merely a derisive epithet but actually the name of his political party. He attempted to cut his budget deficit exclusively by raising taxes on companies and on the wealthy. The result has been two years that were economically flat and an economy that ground to a virtual halt in this year’s first quarter. Investment has dropped and French companies are looking for opportunities abroad. The government’s party was pummelled in local elections and, according to the magazine, among French presidents Holland is now “the most unpopular since polling records began.” Because no party seems to have a handle on what to do about the economy, it has provided an opening for more extreme candidates on the right. One of the ironies in the French situation is that the condition of the economy has made academics and writers who advocate various forms of wealth redistribution pretty much irrelevant. Among these is an economist named Thomas Picketty, whose theories on the inevitability of wealth inequality in his book Capital in the Twenty-First Century are pretty much ignored in his own country. But he is something of a rock star these days in the United States, where he seems to be all over the New York-based media. His fans, which include of course Paul Krugman, seem undeterred—or perhaps unaware—of the UK’s Financial Times article, in which the paper crunched his numbers and concluded they simply didn’t add up. Experience makes it pretty clear what works economically and what doesn’t. Why then do politicians and governments pursue policies that have no track record of success? A lot of it is human nature. People want to believe that there can be a free lunch, that a society can make money by spending money instead of producing. More to the point, the Paul Krugmans of the world find that they personally can make a lot of money by telling everyone else that spending money, rather than boosting productivity, is the way to prosperity. And politicians find it is easier to get voters to vote for them if your promises involve spending money rather than tightening the government’s belt. Given all these perverse incentives, it’s amazing any government ever manages to pull itself out of a recession. So how is the American government doing with its economic policies? Well, the latest numbers for 2014’s first quarter weren’t great. They show the economy contracted at an annualized rate of 2.9 percent. Why, after all these years of being technically in recovery, is the economy not doing better? Well, there are lots of reasons. Surprisingly, there was some bad weather last winter, so a lot of commentators are saying that explains it. After all the Obama Administration certainly did its best to follow Professor Krugman’s advice with government spending to turn the economy around. But that darn Congress lost its nerve after pumping only $17 billion more into the 2009 stimulus bill than it did into the Iraq war. Let’s be fair. It’s still a bit soon to judge how well the administration’s economic policies are working. After all, the president is only in his sixth year in office. When I left Chile in the late 1970s, I was consumed with a need to process what I had experienced and what I had thought I had learned. That processing took the form of having chats with friends and by writing. In particular, I wrote a series of articles for my hometown newspaper—which I began during my time abroad and continued after I returned. But I had an urge to do more. I had been studying literature while in Concepción, and I was flush with enthusiasm for Latin American writers and the art of the novel. As some writers—mainly writers of fiction—like to say, fiction can get at deeper truths that straight journalism cannot. That may be overstating it, but certainly fiction can get at truths differently and can touch different levels of our minds than a simple documented accounting. 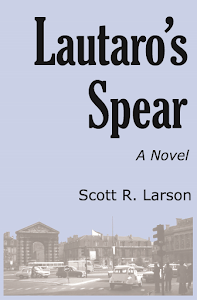 In the years after my return to North America, I had it in mind to write a novel about a Latin American country. It would deal with a political situation comparable to Chile’s in the years immediately preceding my time in that country. It would be about a country polarized between two different political cultures and belief systems and about a man who rises to become the leader of that country, thereby causing the level of polarization to rise to the point of violence—making him a martyr. And all of this would be seen through the eyes of a young North American named Thomas Dowd. Clearly, this character was inspired by the journalist/filmmaker Charles Horman, who was seized and subsequently killed during the golpe against Salvador Allende in 1973 and who would be the subject of the 1982 film by Costa-gavras, Missing. That particular novel never got written. During the ensuing years, I always seemed to have jobs that made heavy demands on my time and mental juices. And, as time passed, my original story idea seemed less interesting. It wasn’t really the ideal vehicle for getting at some of the themes I was really interested in, i.e. the strangely symbiotic yet mutually alienating nature of the culture clash between Anglo America and Latin America and, particularly, the frustration (for the Anglo-Saxon mind anyway) of the persistent ambiguity in the Latin American world. Even though I lived in Chile only a few short years after the Allende presidency and resultant coup, while there I got completely different and contradictory versions of what had actually happened and how things had actually been, depending on whom I talked to. The ambiguity one experiences by living in a place is in sharp contrast to the narratives spun by people who need to fit events into a political agenda. And in the Pinochet era, Chile was one of those places that got a lot of spinning. A vivid memory of my return to Seattle was a visit to an aunt whom I loved dearly. She was a very well read and very well informed woman, but she never asked me a single question about my time in South America. Instead, she handed me a copy of The New Yorker, which she had been saving, and told me that it had an article about Chile that I should read so I would truly understand the country where I spent the previous year. I found myself trying to tell my friends—especially my politically engaged ones—that Chile was a real place with real people, not a parable to be taught. So my story idea evolved. Instead of seeing things through the eyes of Thomas Dowd, he would not actually appear in the novel. Instead, his presence would haunt it. The story would be about two acquaintances of his in the small California town he came from. They would be two teenagers looking for escape and who would decide, nearly on an impulse, to head south of the border in 1971 to look for him. We would experience a bit of Latin America through their young, somewhat naive perspective. Their 1965 Chevy would carry them on a journey down pot-holed Mexican roads more or less as Huck and Jim traveled the Mississippi on their raft. I have finally finished that novel. You can find links to it by clicking here. I had a title for it long before it was completed. 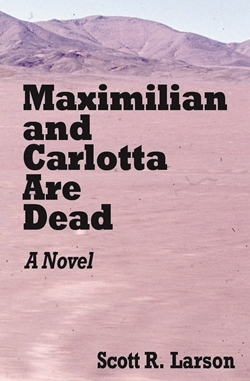 It is called Maximilian and Carlotta Are Dead. That was something a friend of mine happened to say once in response to some comment I had made about Mexico, and it stuck in my head. It was not only a nice shorthand for the fact that Latin America is well into its post-imperialism phase but also for the universality of our mortality. With that mouthful of a title and the above summary of my book’s genesis, I have done my best to make it sound meaningful and profound. The fact is, however, that the book is really a bit of a romp. I gave it every bit of male late-adolescent testosterone that I had left. The characters are not very well behaved and they get into well more than the odd spot of trouble. I indulged myself in a fair amount of guilty pleasure by portraying behavior and attitudes that were politically incorrect even in that time, let alone now. As I was writing it, the parallels with the current day were striking to me. Issues like border security, immigration, political polarization, privacy concerns and U.S. foreign policy hang over the story’s action—just as they still preoccupy people these days. Mostly, though, the book turned out to be a cockeyed tribute to my childhood best friend. I want to be clear that the two main characters in the book are definitely not him and me, but a fair amount of his personality—at least as it was in his wayward youth—found its way into the character of Lonnie McKay. And there is more than a bit of our own personal inter-dynamics in the relationship between Lonnie and the narrator. But, sadly, we never went to Mexico together. After some really bad luck in his life, my friend died last autumn. It’s too bad he never got to read the completed book. He would have gotten a kick out of it and would have given me a hard time over parts of it. But in my more spiritual moments, I think that he was the one giving me the push from the afterlife to finally get it finished. The eruption of violence in Isla Vista continues to haunt. Such senseless events always sicken us, but it hits a little harder when it happens in a place that you know well. I was an undergraduate at UC Santa Barbara, and for a few years Isla Vista was my home. I lived a few short blocks from where the killings happened and frequently passed by the various locations involved. All these years later I could still see them vividly as I heard the news a week ago last Friday. One is horrified by the senseless violence and the unfairness of it all, and our hearts go out to the victims, their families and their friends. It defies our comprehension. As a densely populated student community next to a Southern California beach, IV normally begs to be described with words like fun, carefree and party central. Part of the charm was a strong element of unabashed leftist politics. A few years before my arrival, the Bank of America branch had been burned down. I witnessed a mass party in the streets in honor of Vietnamese victory over the United States, and I recall locals taking pride in the (unfounded) rumors that Patty Hearst was being held captive by the Symbionese Liberation Army in the basement of a place called Das Institut. Sadly, mass shootings happen often enough that there is a bitterly familiar set of rituals to be expected in the aftermath. In their sorrow and anger, survivors, commentators and individuals cry out for ways to avoid a recurrence. Usually, the loudest of these are calls for new gun control measures, and certainly the anguished cries of one victim’s father couldn’t help but move everyone who heard them. But I have heard surprisingly little media discussion about gun control in the weeks since—certainly much less than what followed the Sandy Hook school shootings. This may be a recognition that, at least for now, the gun control issue is settled in America. If it couldn’t get anywhere in Congress after Sandy Hook, then it’s not going to happen unless and until the country changes. As much as any of us would love to be able to pass a law and stop it from happening again, the inescapable fact is that California already has some of the strictest gun laws in the country. Gun control will only be effective if the government were actually to confiscate all the guns in private hands, as Australia did, and any political party that proposes that in the United States would be committing political suicide. There has been some discussion about mental illness, but not nearly as much as there should be. This is probably because it is such a hard topic to get one’s head around. In the Isla Vista case, it is hard to fault the killer’s family (he was after all a legal adult and they were on their way to intervene at the time of the shooting) or the sheriff’s department (they reacted extremely quickly and effectively). Ultimately, we get to the conundrum of asking, when is an individual mentally ill and when is he simply evil? One line of discussion that has persisted since the shootings and which has intrigued me is the one on misogyny. I had been aware of instances of women encountering abusive backlash in certain online forums, for example those having to do with gaming. But it was a revelation to hear of online forums styled as “men’s rights” engaging in extremely hateful discourse. Apparently the Isla Vista killer frequented such groups. Working to get people with dodgy attitudes and wrong thinking to see the harm in their beliefs can be something positive that can be done to help avoid future violence. Having said that, it’s not clear to me that the IV killings grew out of actual hatred as opposed to mental derangement pure and simple. Frankly, I was hard pressed to find anything in Penny’s interview that seemed to me to be helpful. Perhaps, if she listened to Bob Garfield’s interview with Forbes staff writer Kashmir Hill on On The Media, she might have taken some comfort in Hill’s finding that, on some of the forums where the killer posted anti-woman messages, there were fellow users actually pushing back on his attitudes. Or maybe she wouldn’t find that helpful either, since it doesn’t fit her narrative. To be sure, violence against women is everyone’s problem. Beyond that, violence against anyone is everyone’s problem. Yes, the IV killings were spurred by a sick attitude toward women. At the same time, while it may not be “helpful” to point this out, let us not forget that, counting the killer himself, five of the seven people he killed were male. The situation that has come to light at the Veterans Health Administration is, however, different. Most or all of the outrage at previous “scandals” was necessarily limited to Republicans or, at best, non-Democrats. The IRS misconduct directly affected only politically engaged conservatives. Benghazi happened and then it was over. There is not much more to learn about it, although the prying loose of a memo directly contradicting the line that no misdirection had come from the White House has certainly given Republicans encouragement to have more hearings and, not incidentally, undermine Hillary Clinton’s legacy at the State Department. Unlike those scandals, the VA mess is still going on and will continue to go on until it gets fixed. And it is not something that affects members of only one political party. Upset at the way veterans have been treated transcends political allegiances. So it is disheartening that the president’s response is not markedly different from his responses to the other scandals. He went weeks without addressing it and then, when he finally did, he unsheathed his standard scandal responses. On one hand, he made a point of emphasizing that the VA situation predates his administration. In other words, well into the sixth year of his presidency, he is still complaining about the mess he inherited from George W. Bush. On the other hand, he used the fact that there are ongoing investigations to justify a lack of action. Maybe people need to be fired. Maybe some need to go to jail. And he would certainly want all the facts before taking that kind of action. But there is no reason at all for him not to take immediate action to start reforming a system that is clearly not working. Republicans are not off the hook either, since Congress has role in this. While the outrage is bipartisan, it is not at all surprising that Republicans have much more enthusiasm for expressing their indignation. The VA failures are politically awkward for Dems not only because they are the party in power but also because, as the above Paul Krugman quote illustrates, they have long touted the VA as evidence that the government can be an efficient provider of health care—something that also undermines the president’s stance that this is an inherited problem. The required tweak to the Democratic line could be subsequently heard last week from Nancy Pelosi and reliable talking point carriers like E.J. Dionne. According to them, the VA has generally done a good job but now it has been overwhelmed by the casualties of George W. Bush’s wars. So don’t blame the current administration if former soldiers are put on fake wait lists and denied health care. It’s really the fault of the warmongering neocons. There is a valid point here. Advances in medicine have saved many warriors who would have died in an earlier era, and the flip side of that is a higher toll of grievous injuries. Also, mental and emotional disorders are now recognized that previously weren’t. But people who have crunched the numbers tell us that what is really overwhelming the VA is the same thing that stands to overwhelm public services generally. There is a massive demographic bulge (the baby boomers) among veterans—as among the population in general—hitting the age where it simply needs more healthcare services. Still, Pelosi’s attempt to shift the blame for mismanagement and fraud in government facilities resulting in avoidable deaths is certainly innovative. Republicans are pointing to the VA fiasco as evidence that the government should stay out of the healthcare business. It is not exactly fair to compare a government-run hospital system with a government-run exchange system that matches up patients with private insurers. Obamacare and the VA are not equivalent. Still, the VA situation is not irrelevant either. By dictating to consumers what sorts of policies they must buy and by dictating to insurers what coverage they must provide and by expanding the portion of the population that gets healthcare subsidies, the government is undermining the market forces that would normally keep costs down and assure that supply be able to keep up with demand. When supply cannot keep up with demand, it leads inevitably to de facto rationing, which in the current situation takes the form of secret open-ended wait lists that put patients in limbo.